STRAB | THE SUBTERRANEAN RHYTHM & BLUES EXPERIENCE. 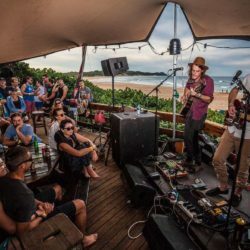 In 2019, the 15th STRAB festival will commence on a Wednesday 22 May with a beach party against the backdrop of the turquoise sea. 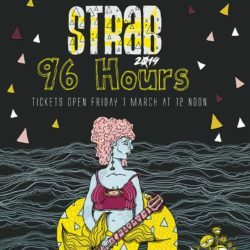 Building on this the official festival starts on Thursday 23 May, with a line-up of bands worthy to perform in the true spirit of STRAB!! Conrad is well known in the music industry, standing behind a mixing desk at gigs and festivals, he does it for the love of the music. You will recognise him by his colorful Hawaian shirts. Mario and Liesl are part of the family and are the support system for STRAB’s day to day operations during the festival. Mario is a scuba diving instructor, owns a barber and bike shop. Liesl is an events manager by day and by night she likes to make arty little things while Mario fixes bikes. 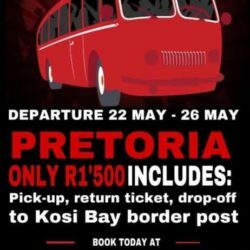 12pm 05/03/2019 Why not jump on the Party Bus experience! 12pm 25/02/2019 Haven’t REGISTERED YET? No problem! REGISTER NOW! 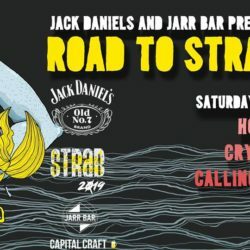 Bookings for STRAB opens in a week’s time! Finger on the trigger at 12:00 on 1 March. As usual we have a few special surprises in store.